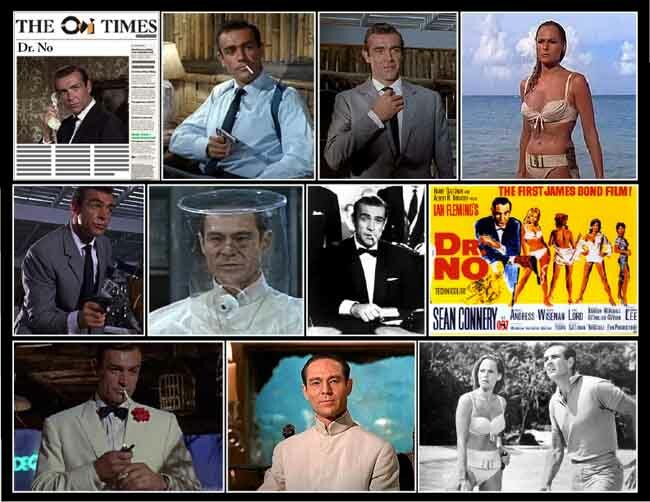 May 8th 1963, with the release of Dr. No, moviegoers get their first look--down the barrel of a gun--at the super-spy James Bond (codename: 007), the immortal character created by Ian Fleming in his now-famous series of novels and portrayed onscreen by the relatively unknown Scottish actor Sean Connery. Connery had acted in repertory theatre and television and scored some bit parts in films before landing his first significant role, opposite Lana Turner in Another Time, Another Place (1958). Bigger roles followed, notably in Tarzan’s Greatest Adventure (1959). Harold Saltzman and Albert “Cubby” Broccoli, the producers of Dr. No, had other actors in mind to play Bond, including Cary Grant and James Mason; Fleming himself preferred another leading candidate, David Niven. After winning the role, however, Connery swiftly made it his own.